Sermons are currently Live Streamed on Facebook. https://youtu.be/Fi2p4QnUvdI -Pastor Clark Lynn Callender, April 7th 2019- The 7 Deadly Sins, 6-Gluttony: "Crowded Out"
https://www.facebook.com/StJohnsUnitedMethodistChurchOfHazletnj/videos/467485417339221/?notif_id=1554040684977335&notif_t=live_video_explicit -Pastor Clark Lynn Callender, March 31st 2019- The 7 Deadly Sins, 5-Sloth: "Kick It Up a Notch"
https://www.facebook.com/StJohnsUnitedMethodistChurchOfHazletnj/videos/304532646889176/ -Pastor Clark Lynn Callender, March 24th 2019- The 7 Deadly Sins, 4-Lust: "Looking for Life....In All the Wrong Places"
https://www.facebook.com/StJohnsUnitedMethodistChurchOfHazletnj/videos/845891459089486/ -Pastor Clark Lynn Callender, March 17th 2019- The 7 Deadly Sins, 3-Anger: "Do You Do Well to be Angry"
https://www.facebook.com/StJohnsUnitedMethodistChurchOfHazletnj/videos/2270433666527101/ -Pastor Clark Lynn Callender, March 10th 2019- The 7 Deadly Sins, 2-Greed: "Rich Man, Poor Man"
https://www.facebook.com/StJohnsUnitedMethodistChurchOfHazletnj/videos/395800397870642/ -Pastor Clark Lynn Callender, March 3rd 2019- The 7 Deadly Sins, 1-Pride: Losing Yourself"
https://www.facebook.com/StJohnsUnitedMethodistChurchOfHazletnj/videos/466667587201775/ -Pastor Clark Lynn Callender, Feb 24th 2019-Sermon: "The Ax is Lying at the Root"
https://www.facebook.com/StJohnsUnitedMethodistChurchOfHazletnj/videos/333229817321054/ Pastor Clark Lynn Callender, Feb 17th 2019-Sermon: "With Eyes Wide Open"
https://www.facebook.com/StJohnsUnitedMethodistChurchOfHazletnj/videos/764534410606914/ -Pastor Clark Lynn Callender, Feb 10th 2019, Sermon: A Cast of Characters, the Sequel, 5 Elijah-"The Sound of Silence"
https://www.facebook.com/StJohnsUnitedMethodistChurchOfHazletnj/videos/vb.562774593774351/593098184540590/?type=2&theater&notif_t=page_post_reaction&notif_id=1548628066267504 -Guest Preacher: Rachel Aileen Callender, Jan 27th, Sermon: A Cast of Characters, the Sequel, 3- Aaron-"Gifted"
https://www.facebook.com/StJohnsUnitedMethodistChurchOfHazletnj/videos/378259786063834/?notif_id=1547996418896463&notif_t=live_video_explicit -Pastor Clark Lynn Callender, Jan 20th, Sermon: A Cast of Characters, the Sequel, 2 Jacob-"The God-Wrestler"
https://www.facebook.com/StJohnsUnitedMethodistChurchOfHazletnj/videos/1875407922585768/ -Pastor Clark Lynn Callender, Jan 13th, Sermon: "Waste Management"
https://youtu.be/2BVO5t8B0Uc -Pastor Clark Lynn Callender, Jan 6th, Sermon: "Star Trek"
https://www.facebook.com/StJohnsUnitedMethodistChurchOfHazletnj/videos/965647160491298/ -Pastor Clark Lynn Callender, Dec. 30th, 2018 Sermon: "Now It Begins"
https://www.facebook.com/StJohnsUnitedMethodistChurchOfHazletnj/videos/2124423914246728/ -Pastor Clark Lynn Callender, Dec. 23rd, 2018 Sermon: "What's In a Name?" https://www.facebook.com/StJohnsUnitedMethodistChurchOfHazletnj/videos/525087194653738/ -Pastor Clark Lynn Callender, Dec. 16th, 2018 Sermon: "The Gift List"
https://www.facebook.com/StJohnsUnitedMethodistChurchOfHazletnj/videos/771510773196811/ -Pastor Clark Lynn Callender, Dec. 9th, 2018 Sermon: Christmas Through the Eyes of Joseph, Part 2 : "Sleep Walking"
https://youtu.be/I2C9m4ElQWI -Pastor Clark Lynn Callender, Dec. 1st, 2018 Sermon: Christmas Through the Eyes of Joseph, Part 1 : "Redirected"
https://www.facebook.com/StJohnsUnitedMethodistChurchOfHazletnj/videos/2268101376800745/ -Pastor Clark Lynn Callender, Nov. 25th, 2018 Sermon: Flood Insurance- The Story of Noah, Part 6: "Down and Out in Ararat"
https://www.facebook.com/StJohnsUnitedMethodistChurchOfHazletnj/videos/584502002020319/ November 18, 2018. Sermon: "Count Your Blessings" Guest Preacher: Rev. Gina Hendrickson, Northern Shore District Superintendent. https://www.facebook.com/StJohnsUnitedMethodistChurchOfHazletnj/videos/vb.562774593774351/485018495239597/?type=2&theater- Joe Reyes & Lisa Brandenburg, Nov. 11th, 2018, Laity Sunday "Let Your Light Shine"
https://youtu.be/ZqNYm3rVn0g -Pastor Clark Lynn Callender, Nov. 4th, 2018 Sermon: Flood Insurance- The Story of Noah, Part 5: "Under The Rainbow". https://www.facebook.com/StJohnsUnitedMethodistChurchOfHazletnj/videos/170381953902480/ -Pastor Clark Lynn Callender, October 28, 2018 live steam. Sermon: Flood Insurance- The Story of Noah, Part 4: "Staying Afloat". https://www.facebook.com/StJohnsUnitedMethodistChurchOfHazletnj/videos/1960371324267804/-Pastor Clark Lynn Callender, October 21, 2018 live steam. Sermon: Flood Insurance- The Story of Noah, Part 3: "The Waiting Room". https://www.facebook.com/StJohnsUnitedMethodistChurchOfHazletnj/videos/295042384554960/ -Pastor Clark Lynn Callender, October 14, 2018 live steam. Sermon: Flood Insurance- The Story of Noah, Part 2: "The Life Boat". https://www.facebook.com/StJohnsUnitedMethodistChurchOfHazletnj/videos/2242875135959173/ -September 30, 2018 live stream. Guest pastor: Rev. Dr. David G. Henritzy, Sermon: "Pray for One Another". https://www.facebook.com/StJohnsUnitedMethodistChurchOfHazletnj/videos/301626960631244/ -September 23, 2018. Guest Pastor- Rev. Dr. David G. Henritzy. Sermon: " A Righteous Person"
https://www.facebook.com/StJohnsUnitedMethodistChurchOfHazletnj/videos/2234565456780151/?modal=composer&notif_id=1536792963775748&notif_t=aymt_upsell_tip -Gail Bechtoldt, Sept. 9th, 2018, "The Royal Rule of Love"
https://www.facebook.com/StJohnsUnitedMethodistChurchOfHazletnj/videos/240799876583161/ -Gail Bechtoldt, Sept. 2nd, 2018, "God's Masterpiece"
https://www.facebook.com/StJohnsUnitedMethodistChurchOfHazletnj/videos/1538518629626879/ -Gail Bechtoldt, Aug. 26th 2018, "Always be Humble and Kind"
https://www.facebook.com/StJohnsUnitedMethodistChurchOfHazletnj/videos/1757320954303796/ -Pastor Clark Lynn Callender, Aug. 19th, 2018, Christians in an Un-Christian World- A Study of the Book of Acts, 18: "The Never-Ending Story"
https://www.facebook.com/StJohnsUnitedMethodistChurchOfHazletnj/videos/1965482480170215/ -Pastor Clark Lynn Callender, Aug. 12th, 2018, Christians in an Un-Christian World- A Study of the Book of Acts, 17: "Nor'easter"
https://youtu.be/U7qxVWKxuQ4 -Pastor Clark Lynn Callender, July 29th, 2018, Christians in an Un-Christian World- A Study of the Book of Acts, 16: "Don't Sweat the Small Stuff"
https://www.facebook.com/StJohnsUnitedMethodistChurchOfHazletnj/videos/1941080675943729/ -Pastor Clark Lynn Callender, July 29th, 2018, Christians in an Un-Christian World- A Study of the Book of Acts, 15: "Don't Sweat the Small Stuff"
https://www.facebook.com/StJohnsUnitedMethodistChurchOfHazletnj/videos/1928911847160612/ -Pastor Clark Lynn Callender, July 22st, 2018, Christians in an Un-Christian World- A Study of the Book of Acts, 14: "God in Our Own Image"
https://youtu.be/ps_pbjPg-YM -Pastor Clark Lynn Callender, July 15st, 2018, Christians in an Un-Christian World- A Study of the Book of Acts, 13: "Sleeping In Prison"
https://youtu.be/NHtTSe5-l68 -Pastor Clark Lynn Callender, July 1st, 2018, Christians in an Un-Christian World- A Study of the Book of Acts, 11: "Increasing the Circle"
https://www.facebook.com/StJohnsUnitedMethodistChurchOfHazletnj/videos/1871277656257365/ -Rev. Clark Lynn Callender June 10th, 2018- Christians in a Un-Christian World— A Study of the Book of Acts, 9: "A Blinding Light"
https://www.facebook.com/StJohnsUnitedMethodistChurchOfHazletnj/videos/vb.562774593774351/1861844217200709/?type=2&theater&notif_t=page_post_reaction&notif_id=1528645354119036 -Rev. Clark Lynn Callender June 10th, 2018- Christians in a Un-Christian World— A Study of the Book of Acts, 8: "Making Lemonade"
https://www.facebook.com/StJohnsUnitedMethodistChurchOfHazletnj/videos/1854090054642792/?hc_ref=ARRaRB3WkGEVfIfv2BIYSplE-IY3jXSf46k9lzwink0PVUtCpzfAzdfcuOvqZOBSc_A -Rev. Clark Lynn Callender June 3rd, 2018- Christians in a Un-Christian World— A Study of the Book of Acts, 7: "They Covered Their Ears"
https://www.facebook.com/StJohnsUnitedMethodistChurchOfHazletnj/videos/1846836088701522/ - -Rev. Clark Lynn Callender May 27th, 2018- Christians in a Un-Christian World— A Study of the Book of Acts, 6: "Day by Day the Lord Added to Their Number"
https://www.facebook.com/StJohnsUnitedMethodistChurchOfHazletnj/videos/1839347526117045/ - -Rev. Clark Lynn Callender May 20th, 2018- Christians in a Un-Christian World— A Study of the Book of Acts, 5: "Dancing With the Wind"
https://www.facebook.com/StJohnsUnitedMethodistChurchOfHazletnj/videos/1824935570891574/ -Joe Reyes, May 8th, 2018 "It's Just Not Fair"
https://www.facebook.com/StJohnsUnitedMethodistChurchOfHazletnj/videos/1816802201704911/?hc_ref=ARSi5Z10DK2tuiMoV6pXDFk-RGPdk0BtqBfCnlfqCYaGdm9SSIXS-DpJXJbmkg5-pfg&fref=nf -Rev. Clark Lynn Callender April 29th, 2018- Christians in a Un-Christian World— A Study of the Book of Acts, 2: "Take Ten"
https://www.facebook.com/StJohnsUnitedMethodistChurchOfHazletnj/videos/1809479809103817/ -Rev. Clark Lynn Callender April 22th, 2018- Chrisians in a Un-Christian World— A Study of the Book of Acts, 1: "A Simple Act of Kindness"
https://www.facebook.com/StJohnsUnitedMethodistChurchOfHazletnj/videos/1802063203178811/-Gail Bechtoldt, April 15th, 2018- "Springtide"
https://www.facebook.com/StJohnsUnitedMethodistChurchOfHazletnj/videos/1794588927259572/ --Rev. Clark Lynn Callender April 8th, 2018- "You"re Not Alone"
https://youtu.be/Z-CRsHDG1vc --Rev. Clark Lynn Callender April 1st, 2018- "Sunday Dinner"
https://www.facebook.com/StJohnsUnitedMethodistChurchOfHazletnj/videos/1780051752046623/ -Rev. Clark Lynn Callender March 25th, 2018- Life Signs, 6: "One Thing I Know"
https://www.facebook.com/StJohnsUnitedMethodistChurchOfHazletnj/videos/1772520886133043/ -Rev. Clark Lynn Callender March 11th, 2018- Life Signs, 5: "The Big Picture"
https://www.facebook.com/StJohnsUnitedMethodistChurchOfHazletnj/videos/1764603713591427/ -Rev. Clark Lynn Callender March 11th, 2018- Life Signs, 4: 5: "A Feast"
https://www.facebook.com/StJohnsUnitedMethodistChurchOfHazletnj/videos/1756886314363167/ -Rev. Clark Lynn Callender March 4th, 2018- Life Signs, 3: 5: "38 Years"
https://www.facebook.com/StJohnsUnitedMethodistChurchOfHazletnj/videos/1749516261766839/ -Rev. Clark Lynn Callender Feb 25th, 2018- Life Signs, 2: 5: "The Great Physician"
https://youtu.be/Of-PI1zhDyo -Rev. Clark Lynn Callender Feb. 4th, 2018- Everyday Heroes, 4: A Clergyman- "Too Late"
https://www.facebook.com/StJohnsUnitedMethodistChurchOfHazletnj/videos/1720734741311658/?hc_ref=ARTQ4JmxzyybuWWuKrMptD-4MuMwF0al_QCkbmp-vkABp01WiDcaryOqmmHjp95o0AE -Rev. Clark Lynn Callender Jan. 28th, 2018- Everyday Heroes, 3: A Women- "Dog Food"
https://www.facebook.com/StJohnsUnitedMethodistChurchOfHazletnj/videos/1713054722079660/ Gail Bechtoldt, Jan. 21st, 2018- Everyday Heroes, 3: The Widow's Mite- "A Measure of Love"
https://www.facebook.com/StJohnsUnitedMethodistChurchOfHazletnj/videos/1706156622769470/ -Rev. Clark Lynn Callender Jan. 14th, 2018- Everyday Heroes, 2: A Soldier- "Running on Faith"
https://youtu.be/iwjUpCfC3wk -Rev. Clark Lynn Callender Jan. 7th, 2018- Everyday Heroes, 1: A Mother-In-Law- "Sunday Dinner"
https://www.facebook.com/StJohnsUnitedMethodistChurchOfHazletnj/videos/1691453040906495/ - Scripture Reading: Matthew 2:19-23 -Rev. Clark Lynn Callender Dec. 31th, 2017- Angels In Our Midst, Scene 5: "When The Party's Over"
https://www.facebook.com/StJohnsUnitedMethodistChurchOfHazletnj/videos/1678212125563920/ - Scripture Reading: Matthew 1:18-25 -Rev. Clark Lynn Callender Dec. 17th, 2017- Angels In Our Midst, Scene 3: "The Quiet Man"
https://www.facebook.com/StJohnsUnitedMethodistChurchOfHazletnj/videos/1671390212912778/ - Scripture Reading: Luke 1:26-38 -Rev. 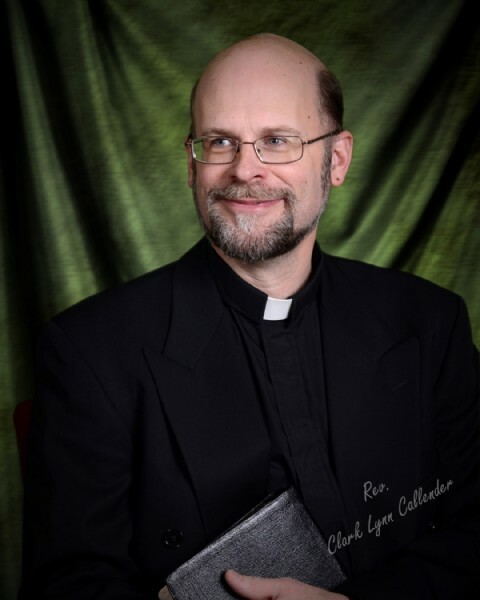 Clark Lynn Callender Dec. 10th, 2017- Angels In Our Midst, Scene 2: "Let It Be with Me According to Your Word"
https://youtu.be/6-CouFqr4Ds -Rev. Clark Lynn Callender Dec. 3rd, 2017- "Your Prayer Has Been Answered"
https://youtu.be/hNNC5H89MJc-Rev. Clark Lynn Callender Nov. 5, 2017- "It's The Network"
https://youtu.be/dF1FFgYUKqQ-Rev. Clark Lynn Callender - October 29, 2017 "The Sermon on the Amount"
https://youtu.be/PeZUW-uqme4-Rev. Clark Lynn Callender - October 22, 2017 Moses and the Exodus, Part 21:"Angry with God"
https://youtu.be/XcDUm-4ef0Y-Rev. Clark Lynn Callender - October 15, 2017 Moses and the Exodus, Part 20:"A Love Affair"
https://youtu.be/QG-oP0NA66w-Rev. Clark Lynn Callender - October 8, 2017 Moses and the Exodus, Part 19:"A Vision Test"